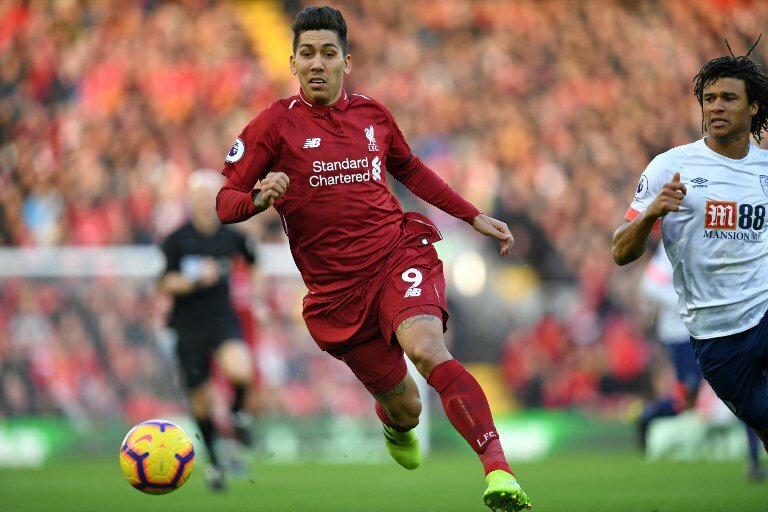 Photo: AFP Liverpool's Brazilian midfielder Roberto Firmino chases the ball during the English Premier League football match between Liverpool and Bournemouth at Anfield in Liverpool, north west England on February 9, 2019. In London, Paul Pogba scored two goals - including a second-half penalty - either side of an Anthony Martial strike as United made it 10 wins in 11 game since former striker Solskjaer was put in temporary command. Meanwhile, Arsenal inflicted more misery on Huddersfield with a 2-1 win away to the bottom-of-the-table club.